I have been reading nonstop since I was four years old. If you give me a book, I will read it. I'm not fussy. 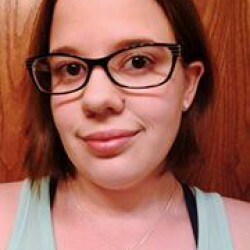 I have slowly but surely been reading Stephen King's Under the Dome and I have also been having health issues the last few weeks. Yesterday and today have by been by far the worst and have been spent mainly in bed. Just thinking about picking up Under the Dome (a 1000 something page novel for those who may not know) felt exhausting so I climbed out of bed and picked up the least intimidating book on the shelf. 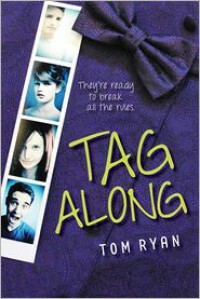 Tag Along by Tom Ryan. My review copy weighed in at 195 pages, perfect. Have you ever seen the movie Valentine's Day? In it there are a bunch of different stories that all of a sudden come together, that's kind of what happens here. Three acquaintances from the same High School and one girl staying with family in town who, through various incidents, come together for a Prom night they will never forget. This was a perfect, lighthearted, easy to pick up and not put down, YA read. The writing itself was very simplistic and could possibly be better suited for more of a middle grade book in the future, but Ryan's relatable characters (even for a wife and mother who never went to prom) made this book really stand out.